How do tennis players pay their taxes? Like this seems like an extremely complicated issue. So when you earn money in various countries do you pay the taxes there? Or pay taxes when you get back to your home countries? Like how the heck does this work. Or you get the money with tax already being deducted from the prize, so actually no issue. Most of them only pay tax in the country where the tournament is played, and make sure of that by having their official residence in a tax haven. Self-assessment tax returns in the UK. The last firm I worked for did Federer's tax return. Basically, Submit as self-employed and pay his taxes to Her Majesty's Revenue and Customs (HMRC) as a non-UK resident i.e. what he earns in the UK. He needs to win Wimbledon to break even in terms of tax in the UK as he not only has to report what he earns from the tournaments (Wimbledon and ATP WTFs) he plays in but also report earnings such as percentage endorsements i.e. each time he plays in the UK he's advertising Nike previously/now Uniqlo. Wait so you're saying that if Fed doesn't win the tournament, he pays money every time he plays at Wimby? That's hilarious. How can taxes cost as much as one earns? I'm not saying you're not telling the truth, I'm just saying that it sounds pretty absurd (and I'm sure its true lol). He should report his endorsements for that.. period only no? Actually... never mind, I sometimes forget how high Fed's endorsements are. How can taxes cost as much as one earns? I'm not saying you're not telling the truth, I'm just saying that it sounds pretty absurd (and I'm sure its true lol). Yeah, I'd like to hear more about that..I am self employed and tax rates/laws are pretty insane. But I don't understand how you could ever be taxed 100 percent or higher. 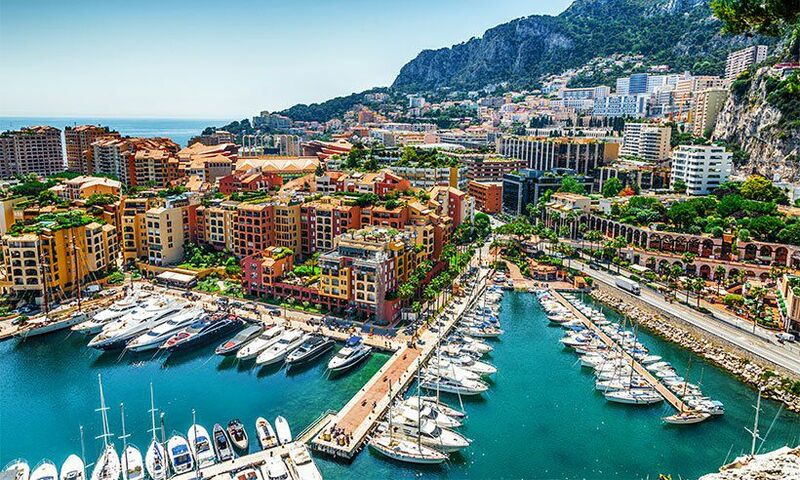 Monaco is tax free, but Switzerland is not. They have Cantons and pay the tax according to the Canton they are resident in. A lot of these tennis players will have advisors who deal with it on their behalf. Each country where the players play tournaments will have a double tax treaties to set off taxes in their country of residence. Say Federer pays 45% in UK on most of his UK income but Switzerland only charges him say 17% he can only set off 17% off his Swiss tax bill relating to UK income earned. No Double tax treaty will allow a tax payer to reclaim more than the tax they paid in the country of resident. As Monaco is a tax free haven there is no taxes to set off so they cannot set it off and so the taxes they pay for the country where they played the tournament will just keep the taxes paid. Yeah that’s probably one reason why he’s chosen not to play Queens and preferred to play Halle. UK tax and US taxes are really high for sportsmen and women. In UK especially as they tax a percentage of a player’s endorsements. Yes so Fed is taxed on 3 weeks out of 52 weeks of his endorsements as well as any winnings/fee appearances for Wimbledon and ATP WTFs. They changed the rules here in the UK to not include training days; that was what a lot of sportsmen complained as why should they be taxed on days when they are just practicing. No he doesn't. That's a very simplistic take that reduces his earnings to prize money. Admittedly the UK's tax law here is draconian but he doesn't not earn money from his endorsements when he's plying his trade in the UK. Take it from the woman who completed his tax return way back in 2012. And yes he is advertising and being paid by Uniqlo on his clothing when he plays Wimbledon and ATP WTFs, that is what he is being taxed on. Tax all he has, Then let him know, That you won't be done till he has no dough. Do some charity flood photos and get away with everything. 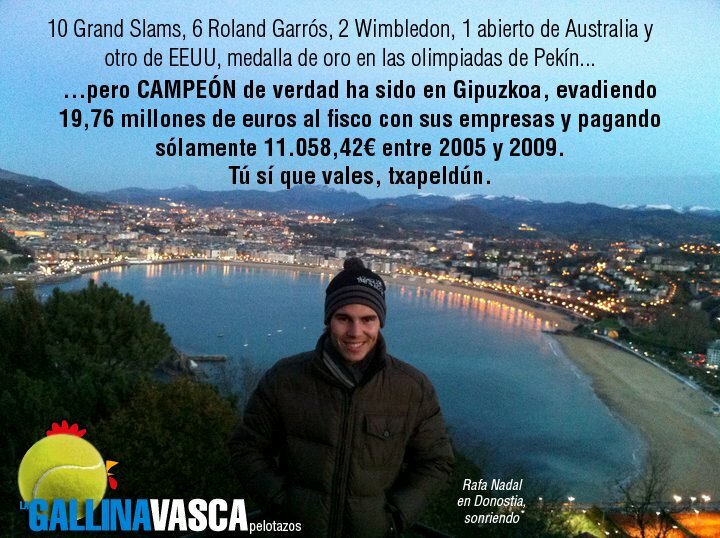 Except Nadal, who would live and die a Mallorcan. Hope the poster realizes that his posting was made possible by the Internet which was invented on a government research grant paid for by taxes. Be careful guys. My wife and I have received tons of scam calls supposedly from the IRS as April 15 approaches, threatening us if we don't call back. Don't fall for it. Tell your friends. I believe players like anyone else have to pay taxes in the country where they earn the income. So prize money is taxed whereever it is earned (UK for Wimbledon, US for Indian Wells, etc.). Then depending on your domicile country's tax code, you will have to pay taxes on that income in your home country. That is the case in the US as it is a "global" tax regime. But the IRS will give you credit for what you already paid in the UK for example. Most other countries, do not have a "global" regime, so if you win a tournament in a country with a low tax rate, that would be awesome bc you pay that low rate and you're done. Yes, FOX is known for fear mongering about tax increases, especially tax increases on the rich. Take it from the woman who completes his tax return way back in 2012. And yes he is advertising and being paid by Uniqlo on his clothing when he plays Wimbledon and ATP WTFs, that is what he is being taxed on. You don't get taxed more than you get paid. The UK's tax laws aren't that daft. The UK's presumably the only country that takes the view that endorsement contracts that cover a calendar year (or more) should be counted towards income earned when competing in the UK. They don't tax the entirety of the endorsement earnings (unless I'm entirely mistaken here and they do, in which case it's madness and ignore everything I'm saying!) they just tax a proportion of it based on the time spent competing in the UK. He only needs to win Wimbledon to break even if you take the view that his endorsements are not in any way connected to his competitive appearances in the UK. To put this another way, the amount of money Federer makes from endorsements is so eye-wateringly large that 2/52nds of it taxed, mostly, at around 40% comes to millions of pounds. I don't think you understood my post well. My point was that many of them reside in countries with lower taxes so they can earn (even)more money. In the US they simply withhold all the taxes you owe when they pay you. There is an entire section of the tax code that deals with paying people like foreign athletes under publication 515. No I don’t think you understood my post. Just because you reside in a country with low or no taxation, does not mean those players don’t pay tax in the country they have played in I.e. just because Novak won Wimbledon last year and paid no tax in Monaco, doesn’t mean he doesn’t pay the tax on his Wimbledon winnings and a percentage of his endorsements to UK tax authorities. It just means he pays it to UK and keeps the net and Monaco don’t get a penny as he can’t offset 45% tax paid in the uk against 0% paid in Monaco. This probably explains it better. Yes, UK tax for sportsmen and women is punitive. So if Rafa plays 18 events in the year and two of them are Queens and Wimbledon, ATP WTFs he is taxed on 3/18ths of his worldwide endorsement income as well as his appearance fees/winnings from those tournaments. Hence why the woman said Federer has to win Wimbledon to break even when he plays here I.e. it’s really the percentage of endorsement income they are being taxed on that is the killer. UK tax rules mean that in addition to tax paid on prize money and appearance fees, etc. in connection with a performance in the UK, visiting sportspeople have to hand over a percentage of global endorsement income, with the amount proportional to the time they spend in the UK - e.g. if a professional runner competes in two events in a year, one of which is the London marathon, then he would be taxed in the UK on half his global endorsement income. This affects many individual sportspeople (team sportspeople are not included) and has been putting foreign players off of competing in the UK, because for some, their UK income tax liability can actually be greater than the prize money and appearance fees if they win a UK event! Recently, the Government has made a decision to relax these rules in a move aimed at encouraging high profile names like Usain Bolt and Rafa Nadal to take part in the UK on a more frequent basis. It is now conceivable that HMRC may begin to look to compensate for potential loss of revenue by recouping tax from other sporting sources. HMRC’s recent enquiries into the image rights agreements entered into between leading football and rugby clubs and their players, may provide some indication of where HMRC may be looking to fill this revenue gap. If you’re more interested in how tennis players are taxed on their endorsement income. Here is a link to HMRC’s website and how sportsmen and women such as tennis players are taxed on their endorsement income. When they say HMRC have “relaxed” the tax rules, they have removed training days as included in their time in the UK and also there are certain events which are exempt such as the Anniversary games which Bolt ran in, which are “exempt”. Presumably the players (or at least the wealthy ones) structure their affairs so that endorsements are not paid to them as personal income and they don't pay the tax. Otherwise we'd be hearing more political interviews with players, and at least threats not to play Wimbledon. It depends though. Spains tax rate above 600,000 euros appears to be 45% as well so he would pay 45% in any case. I would assume he simply pays the UK government instead of the Spanish government for the weeks hes in the UK given there will be tax treaties in place. So, what you are saying is that it is by accident that so many tennis players live in Monaco and Switzerland and not somewhere else? Otherwise you still don't get my post. Tour Pros are considered self-employed individuals! No withholding since they file quarterly to pay withholding tax. Many of them tend to reside in notorious tax havens like Switzerland and Monaco so they don't have to pay any. Nope. Not if they are foreign. That would be ridiculous. No one would ever pay the taxes otherwise if they could skip the US. "Chapter 3 withholding applies only to payments made to a payee that is a foreign person. It does not apply to payments made to U.S. persons. " "You must withhold on the gross amount subject to chapter 3 withholding. You cannot reduce the gross amount by any deductions." "Withholding is required at the time you make a payment of an amount subject to withholding. A payment is made to a person if that person realizes income, whether or not there is an actual transfer of cash or other property. A payment is considered made to a person if it is paid for that person's benefit. " Accountants and tax lawyers have, I must assume, something to do with it. No I am saying they live there to mitigate and pay less tax. Your post infers that just because they live in those places they don’t pay any tax whatsoever. It is you who infers not my post, that was my point when I said that you did not understand my post. It is your interpretation of my post.